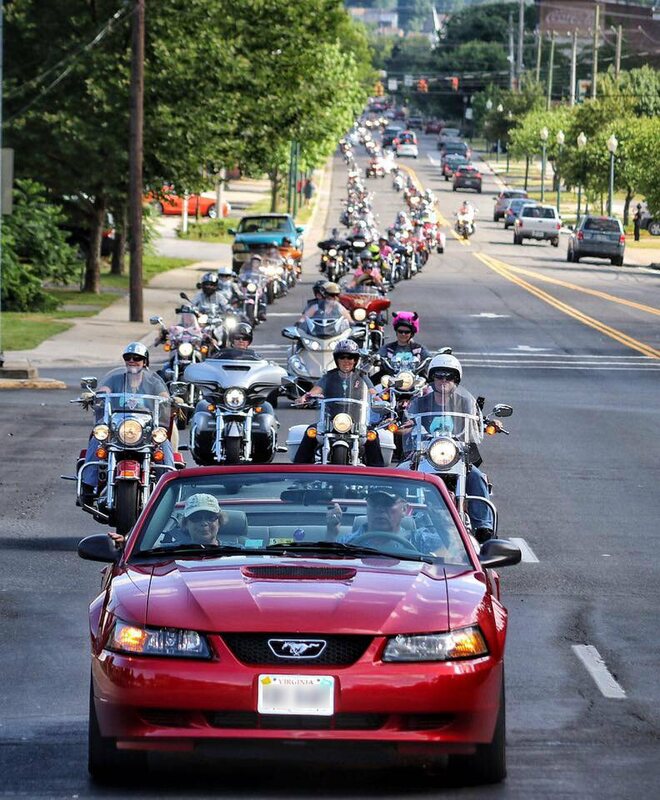 How the Mid-Atlantic Women's Motorcycle Rally adopted H.O.P.E. H.O.P.E. helps cancer patients and their families and provide many services that cannot be found elsewhere. Now, it was Dawn [Huber] from the Twin Rose Lady Riders who asked me to be a speaker at the Mid-Atlantic Women’s Motorcycle Rally in 2011. After that first Rally, these women have donated thousands of dollars to H.O.P.E. every year since. Their generosity is immeasurable and I am proud to be a part of this event. I can’t imagine what my life would be like, if I had not met this group and gone to this Rally. The women who participate all have different backgrounds, but they all come together annually and call each other sister! The years that I have been to the Rally have given me exceptional joy and peace knowing what compassion and empathy these women have for others. I look forward to MAWMR every June, seeing old friends and meeting new ones. It almost makes me want to go out and buy a motorcycle! But, if you don’t have a motorcycle, don’t let that stop you, because the fabulous women of MAWMR don’t care if you ride your own or ride on the back or that you are just an enthusiast. I have the best adventure at every Rally. To learn more about MAWMR, visit www.mawmr.org today! MAWMR has donated over $10,000 from this year’s Rally!